The home residence of the Royal family is a must-see on your tour of Copenhagen. Amalienborg Palace is one of the biggest attractions in Copenhagen and one of the Royal highlights of the country. Four identical palaces from the 1750s surround Amalienborg Palace Square and originally built as residences for four aristocrats. In 1794 the Christianborg Palace, where the Royal Family had their residence burnt down, and after that time, the Monarchs took residence at Amalienborg Palace situated between the city and the harbour. In the centre of the courtyard, there is an equestrian statue of King Frederik V, and it is considered one of the most outstanding equestrian statues in the world. In Christian IX’s Palace, you will find the winter residence of the Queen and Prince Consort. Frederik VIII’s Palace is the home of the Crown Prince Family. Prince Joachim and Princess Benedikte use the Christian VIII’s Palace as guest Palace. Christian VII’s Palace used for guest residence. The Royal Family has also their guard, called the Danish Royal Guard, who patrol the palace grounds. 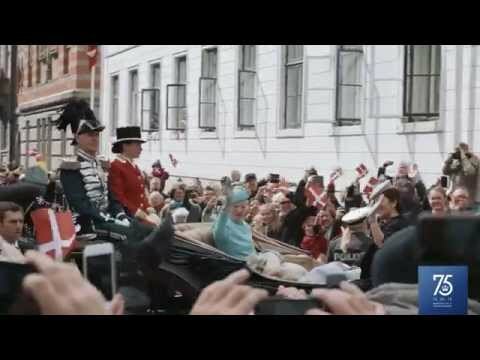 The Danish Royal Guard march from Rosenborg Castle at 11:30 daily through the streets of Copenhagen, and execute the changing of the guard in front of Amalienborg Palace at 12:00. The Amalienborg museum is situated in The Christian VIII's palace and is partially organised as a museum for the Glücksburg Royal family and shows private interiors of the most recent queens and kings, and you can also an exhibition of the monarchy today. The royal family stays at Fredensborg Palace every summer season. Christiansborg Palace on Slotsholmen is the residence of the Danish Parliament and the Supreme Court. ILLUM is Copenhagen's premium department store. Fisketorvet is one of the newest central shopping malls in Copenhagen.